This serves as an excellent semester exam for any type of course, really. I use it for my IB History courses and other History courses. 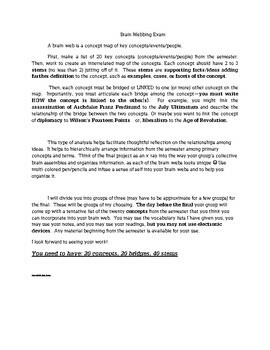 It is a way for students to come up with 20 concepts from your course and link them with other concepts, ideas, and terms. This would also be an excellent way to review for an exam. Student sample included.